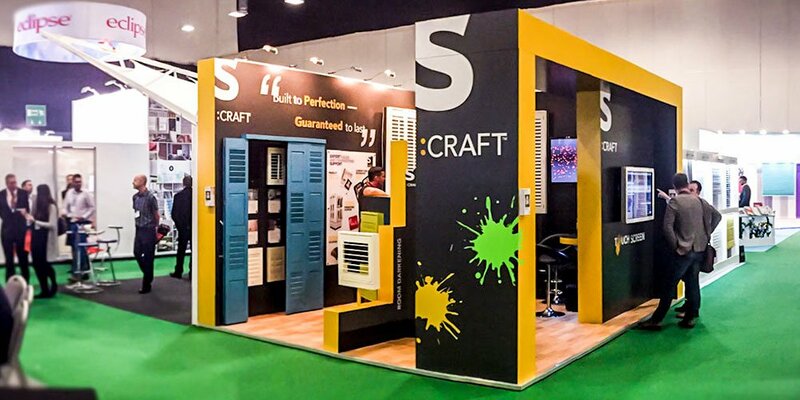 S:CRAFT has become the renowned name in the UK for supplying premium quality plantation shutters to customers through their network of national stockists and high street retailers. Promultis supplied a touch screen for use on the S:CRAFT exhibition stand at The British Blind & Shutter Show in the Ricoh Arena, Coventry. Using graphic assets and imagery, supplied by S:CRAFT, Promultis developed a interactive presentation for the touch screen.